Bank Muscat, the flagship financial services provider in the Sultanate, as part of its commitment to add value to national development initiatives, opened a state-of-the-art branch in Duqm. H.H. Sayyid bin Taimour bin Assad Al Said was the guest of honour at the inauguration attended by H.E. 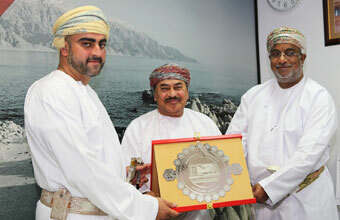 Yahya bin Said Al Jabri, Chairman of the Special Economic Zone Authority at Duqm, and AbdulRazak Ali Issa, Chief Executive of Bank Muscat. Over the past 32 years, Bank Muscat has achieved steady and significant growth to emerge as the leading financial institution in Oman. Setting new benchmarks, Bank Muscat offers the complete range of banking products and services through the network of branches across the length and breadth of Oman. The sophisticated banking experience stems from the right mix of traditional and electronic channels.